The benefits of reciprocal linking to a website owner are considerable, but they are widely overlooked and even misunderstood. Very few of the so-called "web marketing gurus" really understand the dynamics of linking. Everyone knows that it is important to search engines, but very little has been written about the real benefits of linking. Audette Internet Solutions offer an economical reciprocal linking program with the goal of obtaining 400 incoming links that are "hand-picked" to be of value to your website. Discussed below is a point-by-point summary of the advantages of building a substantial link network. For sites that serve a market of enthusiasts, like sports or a hobby, or are in an industry that has a large number of resource or directory sites, like careers, then linking should be the foundation of the site traffic. Value: The "cost per click" of a reciprocal link actually decreases with every click. If it initially costs $1 to get a link (on average), then the cost per click for that link becomes less than 1 cent once you’ve received just 100 visitors from that link. And it just keeps going down indefinitely. Cost Protection: Traffic from reciprocal links is immune from increased ad costs due to traffic spikes or bidding wars. A traffic spike on Overture, the largest pay-per-click search engine, might be a welcome result, but it also costs more money. A traffic spike from a reciprocal link, or even a steady increase due to ordinary web traffic growth, is free with links. Reliability: Reciprocal links continue to drive traffic, even if your marketing budget get stretched thin. If you stop paying Overture or Google Ad-Words, they stop sending traffic, which is a very vulnerable position. Search Result Enhancement: As long as there are free search engines, many of them will reward you for being "popular", as well as for being a "hub", which is a representation of the number of links going out of your site, a commonly overlooked fact. Search engine results tend to improve dramatically for sites that implement "GOOD" linking practices, both in and out. True Network Effect: Reciprocal links are a widely-distributed source of traffic. They are not reliant upon a single point of control, as are many other sources of traffic, like search engines. Links represent a "fail-safe" network. They are protected from the ever-changing criteria and consolidation of the free search engines, and they are sheltered from the competitive attacks that are now taking place with the pay-per-click bidding wars. 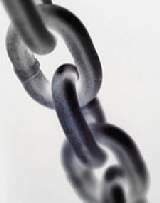 Stability: Reciprocal links are extremely stable, in the aggregate. Sure, you'll lose some links over time, but by and large, they tend to stay in place indefinitely, providing traffic day after week after month after year. Publicity: The very act of asking for the link from another site is equivalent to an industry-specific press release, but the payoff here can be long term. You never know what will come your way from making your market aware, especially if your product is new or unique. In fact, a legitimate link request to sites that solicit for them is the ONLY way to announce yourself via email to a highly-targeted group of sites in your industry, without "spamming". Branding: The more links you have, the greater the "branding" effect for your name. This broad awareness can improve the click-through-ratio for your links. At the least, it makes surfers curious as to why your site name seems to show up everywhere. Traffic Driver: A well-structured links page can actually be used to bring people back to your site. It is a resource to your visitors, and they will come back to it again and again. Providing links to other sites is not a net traffic drain. This line of thinking is simply flawed, for a variety of reasons. The benefits of linking far outweigh the occasional click out of your site by people who are ready to leave. A well-designed links page opens all of the outgoing links in a new browser window, leaving your site open on the users machine. Market Intelligence: Reciprocal link traffic patterns reveal many of the real "players" in an industry. This info, extracted from your site referral logs, can be used to your advantage in other ways, such as for placing banners or finding good affiliates and marketing partners. Minimal Oversight: Unlike pay-per-click search engines and banner ads, links take only limited management time once they are in place. This is the opposite of pay-per-click, because when you are spending money for each click, you need to constantly stay on top of both your bids and your volume. That is a hidden but very real cost of pay-per-click banners and ads. Asset Value: Reciprocal links are assets of the business. Like the bricks of a house, a few don't amount to much, but pile them up, and you have a rock-solid foundation and structure. They can greatly enhance the equity value of a website. That last item (Asset Value) is so important...please read it again. Affordability: The traffic that comes from established links is essentially free, but earning those links is not. It takes time and money to build a link network. For the most part, building links is an upfront cost, and should be viewed as a capital investment in site marketing that is immediately deductible for accounting purposes. For established web marketers who already use extensive banner programs or bid competitively on popular terms with the pay-per-click search engines, you'll find the cost of an entire reciprocal linking project to be just a fraction of your monthly click budget. In comparative terms, reciprocal linking is a remarkably affordable short-term expense with long-term benefits. For those who do not yet spend money for online advertising, the investment in links may very well save you from having to institute other ad programs to get traffic. There is nothing else in web marketing that can compare to the long term advantages of links. Web marketing costs are now on the rise. Specifically, pay-per-click search engine bidding has become fiercely competitive. Affiliate programs are wrought with problems of their own. Linking is a stable, affordable shelter from the storm, and it works. Audette Internet Solutions can get you on your way with a linking program faster than you can do it yourself. We can set up your reciprocal linking manually for a six month period and then transfer it over to a "self-running" system requiring only minimal attention on your part. We make it easy for you. Please let us show you what sets us apart from all the others.